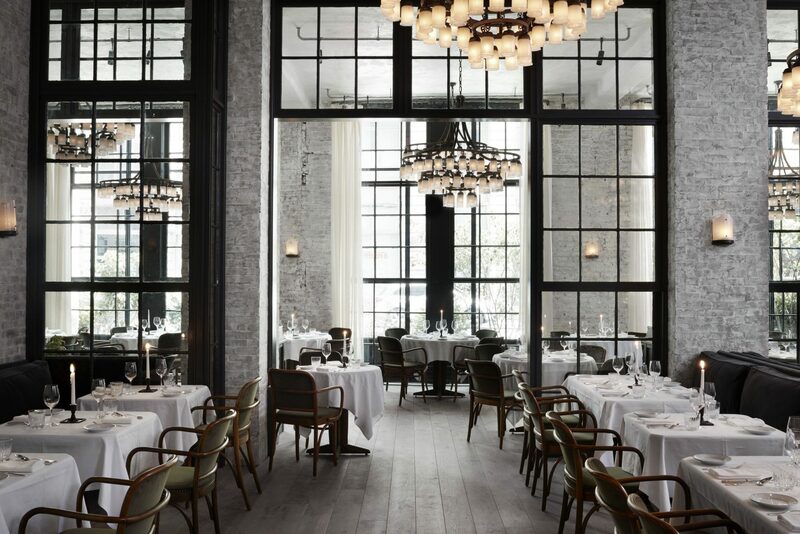 Monochromatic Restaurant interior design – Le Coucou is located at 138 Lafayette St. New York City. We love how they have broken the conventions of the existing building to contrast with the clean Scandinavian lines of the newly remodeled hotel. Roman and Williams have stripped away all of the years of renovations to expose the existing raw brick space. 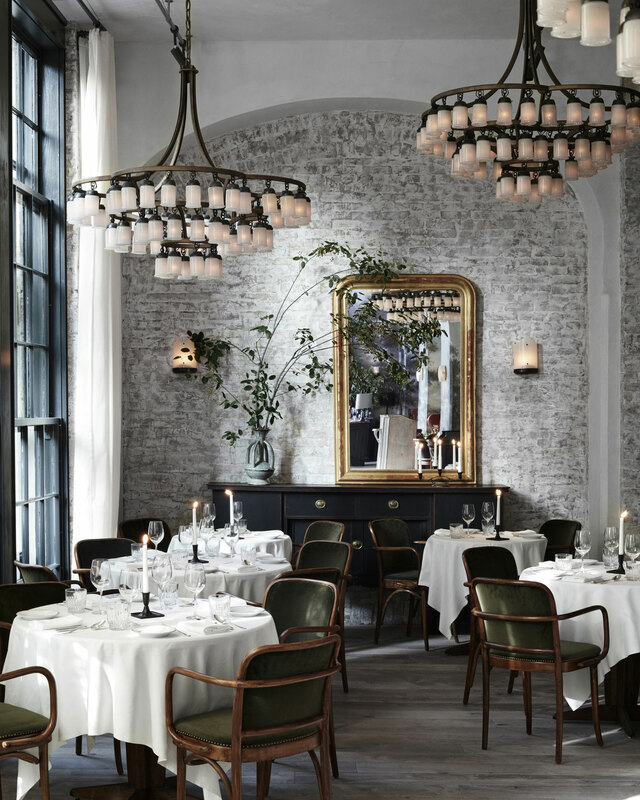 Onto these eloquent bones they have thoughtfully layered materiality, furniture and lighting that match the purity and integrity of Chef Rose’s cuisine. Photo Credit: Roman & Williams and Le Coucou New York City.